Would you like to improve the efficiency of your company? Take advantage of our comprehensive services in the area of business process outsourcing and administrative outsourcing. We deliver effective support in business transformation and change management processes based on advanced technologies. Learn about new possibilities of effectively managing HR and payroll processes at your company. Find out more about our projects and the latest trends in the business services industry. Our team of specialists can provide your staff with comprehensive assistance in day-to-day administrative, accounting, and payroll matters. By letting us do the job for you, you will reduce your company’s expenses while maintaining high standards of processes and task continuity. We operate based on pre-defined KPIs regarding quality and timeliness. Moreover, we provide services of clearly defined indicators of success and a guaranteed level of implementation of activities. Effective communication tool for business and HR department. 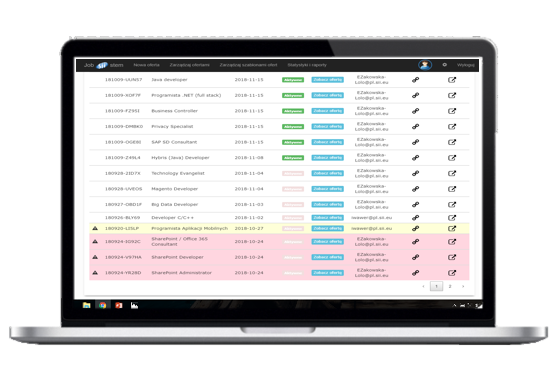 Improved control over the information and documentation flow within company as well as effective reporting tools for management. We offer extensive services combined with technology and process automation in the area of HR and payroll to improve the efficiency of your business. Preparation of payroll journals for F&A. Timely payment of wages, salaries and settlement of expenses. Compliance with accounting filing deadlines in concordance with legal regulations. Dealing with social security and tax authorities, medical and life insurance agents, etc. Implementation of digital management solutions allows you to manage your employee services efficiently and swiftly. Transactional model per 1 employee. Implementation of modern solutions based on the TETA Web HR online platform or another platform indicated by the client. Introduction of an employee panel combined with document management workflow. By working with us, you can optimize the time of your administrative work, data input and document quality as well as eliminate disruptions in information flow within your company. Management and maintenance of employee records. Maintaining the staff’s annual leave records and determining leave entitlements and limits . Recording absences and entitlements of the employees. Checking employment contracts, periodic health examinations, health and safety at work trainings for validity . Business knowledge combined with digital technology expertise that create business value for our clients. Experience in building products for organizations with different scale and growth dynamics. Effective solutions based on advanced technologies. Experienced leaders and specialists with outstanding knowledge in administration, accounting and HR. Ability to provide services in a swift manner. We have experience in building processes for organizations with different scale and growth dynamics. Since 2006, we have faced different business challenges which may also have impact on your business. Our market performance is backed by numerous awards and distinctions received in competitions. Based on the experience we have gathered over the years, Sii consultants are able to provide effective recruitment and HR processes for our clients. We deliver support in business transformation and change management processes based on advanced technologies. Our consultants have experience in combining HR and recruitment processes with digital platforms. We are able to provide customized solutions tailored to your needs, as well as deliver substantive support for your business in technology issues. 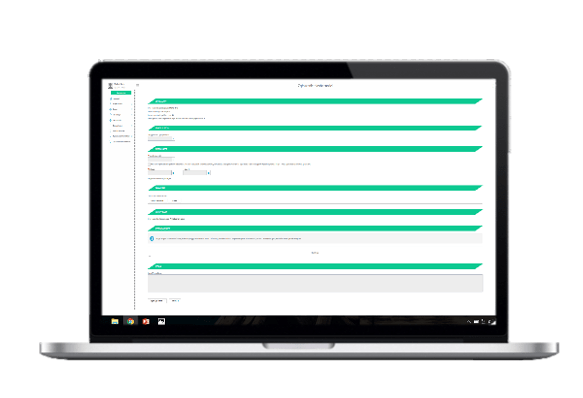 Extended internal communication platform and workspace allows its users to go to several applications connected with their work and stay informed about everything that happens at the company. Platform with the latest internal job offers both for experts and back-office specialists. All employees can recommend friends or get more information in advance using the Job Changer app, which enables career development by supporting the internal process of department change. 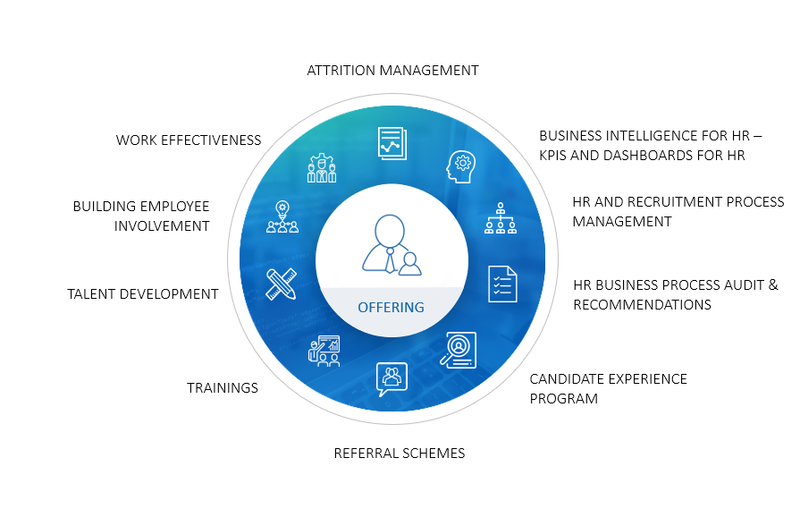 Fully manageable personal platform which integrates HR processes connected with every employee. 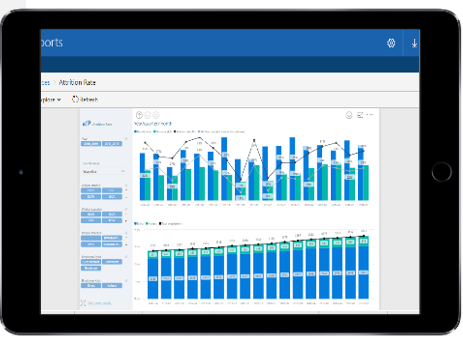 Real-time performance dashboards which enable managers and business controllers to monitor performance and KPIs. 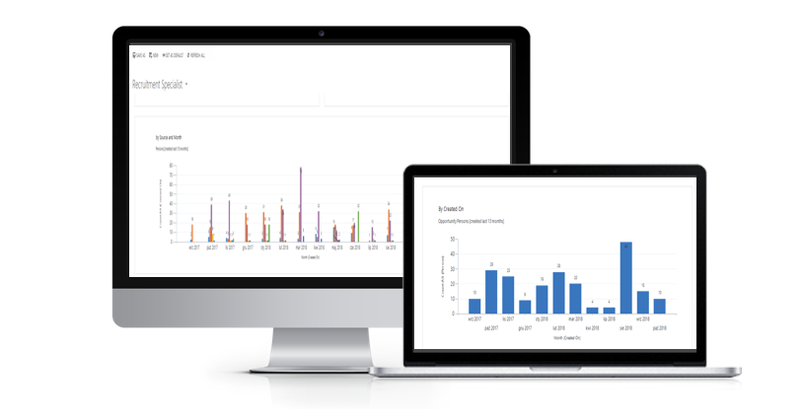 BI system aggregates data from different internal systems and sources. The Job Siistem allows recruiters to easily manage the latest work offers which are multiposted to external job portals from one platform. 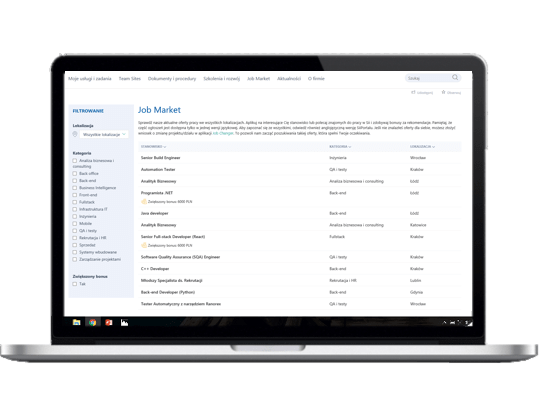 The CRM platform gives users necessary tools to effectively manage recruitment processes. It also enables to track the latest KPIs and monitor the most effective ways of acquiring candidates. With the company from the very beginning. She was involved in creating and delivering HR and recruitment processes at every stage of Sii’s dynamic development. 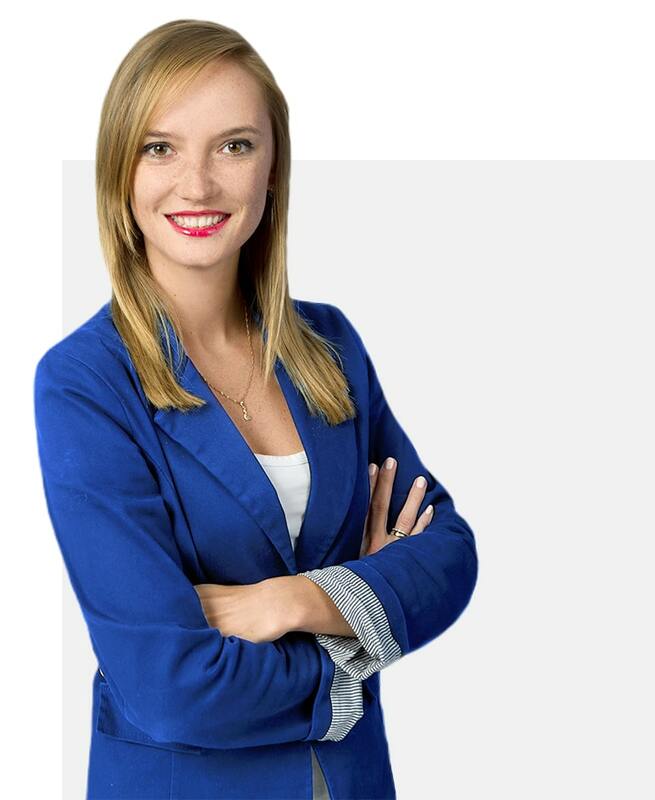 She is the co-creator of the company’s success, which has become the leading employer on the Polish IT market. Now, as CHRO she is responsible for all retention and HR support processes in Sii Poland: onboarding, trainings & development, career advisory, workers evaluation, objectives management, job changer, exit interviews, satisfaction surveys, integration and taking care of Sii values in practice. Experienced manager and leader. 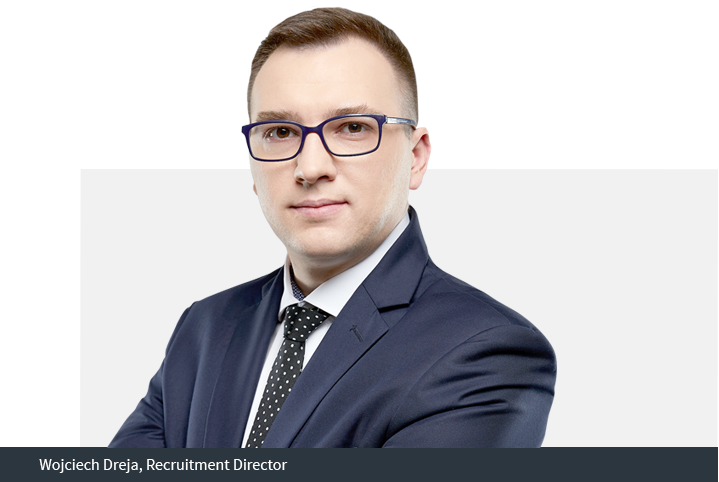 He is responsible for facilitating Sii’s growth by assuring fast, lean and effective functioning of recruitment process in order to meet and exceed expectations of internal and external clients. 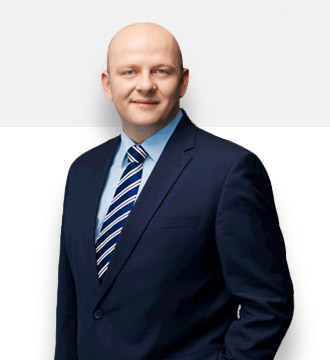 He is also involved in the co-creation of global employer branding strategy for Sii Poland. Under his governance, Sii’s recruitment team registers over 10 000 candidates each quarter, conducts more than 1 000 interviews monthly and successfully hires 140 individuals. He is also developing such important areas as Candidate Experience at Sii and Referral program. If you’re interested in our offer and would like to find out how we can help your business grow, contact us! Our expert will answer all of your questions and help you choose an offer that best suits your needs.